CC421A HP LaserJet CM4540fskm Printer - Refurbished with 3 months Return To Base Warranty & Working Consumables. The HP LaserJet CM4540fskm Printer is as good as buying new as all worn parts are replaced. This saves you up to 50% off the price of a brand new printer. We are confident that you will be 100% satisfied with your HP LaserJet CM4540fskm Printer and are here to help with any support questions you may have. The Manufacturers part number/product code for this item is: CC421A. 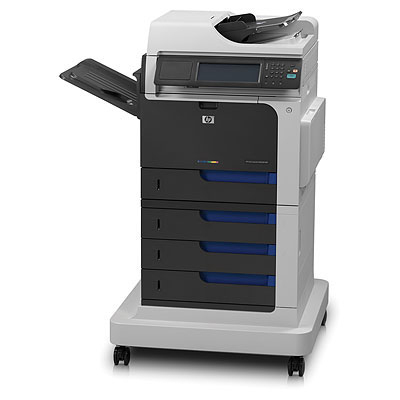 Workgroups can easily print, copy, scan, digitally send and fax with this intuitive colour MFP series. Brilliant colour plus robust paper handling, management, security and extensibility features make this MFP a productivity powerhouse. Easily achieve brilliant colour output. - Process jobs at the MFP with the award-winning HP Easy Select control panel. Print from the walk-up USB port with a flash drive. - Achieve sharp contrast and bright colour with high-gloss HP ColorSphere toner. HP ImageREt delivers crisp, consistent detail. - Save time with pre-installed Original HP LaserJet print cartridges and high-capacity black cartridges. - Improve productivity with paper capacity up to 2,100 sheets; sort, collate, staple or stack documents with a 900-sheet, 3-bin mailbox. - Save time and money: manage printing fleets with industry-leading HP Web Jetadmin. Easily control who prints in colour with HP Color Access Controls. - Simple setup wizards for save-to-folder and scan-to-email functions make digital workflows more efficient. - Extend your MFP capabilities with a rich portfolio of HP and third-party solutions that are easy to integrate. - Easily print from anywhere, anytime, with a smartphone, notebook PC or other mobile device, using HP ePrint. - Protect sensitive data stored on your HP MFP with the standard encrypted HP High-Performance Secure Hard Disk. - Attach security solutions to the control panel's hardware integration pocket for a seamless appearance. - Process jobs securely without compromising efficiency via PIN authentication. Expand the number of IP addresses on your network with IPv6, and implement network access control with IPsec. - Create, print, scan and share sensitive business information securely via encrypted e-mail and PDFs. - Get up to 50% energy savings over competitive products, using Instant-on Technology. - Save paper and conserve resources – use digital workflows, two-sided printing, PIN print and image preview. - Recycle with ease – print cartridges returned through HP Planet Partners are recycled responsibly. 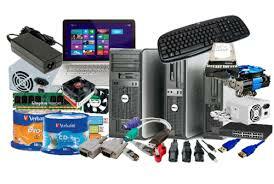 - Reduce shipping materials with HP ClearView packaging9 and optional high-capacity black print cartridges.